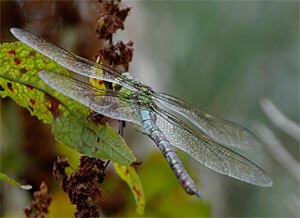 Friends of Radley Lakes has launched a new website. click to proceed. to show what can be done when a piece of the countryside is threatened. We hope you will find the information contained in our campaign site to be of use. A map of the Radley Lakes can be found here with an annotated Google map here. "We hope that there will be fireflies and glow-worms at night to guide you and butterflies in hedges and forests to greet you. We hope that your dawns will have an orchestra of bird song and that the sound of their wings and the opalescence of their colouring will dazzle you. We hope that there will still be the extraordinary varieties of creatures sharing the land of the planet with you to enchant you and enrich your lives as they have done for us. We hope that you will be grateful for having been born into such a magical world." He also said: " "Remember that the animals and plants have no Member of Parliament they can write to; they can't perform sit-down strikes...they have nobody to speak for them except us, the human beings who share the world with them, but do not own it." Quoted from "Catch Me a Colobus"
This website was set up in July 2005, to prevent the destruction of a 12 hectare site located between Radley and Abingdon. RWE NPower applied to Oxfordshire County Council for planning permission which was approved. The scheme would have destroyed a beautiful lake and deprived the community of an essential part of the landscape. The area is rich in bio-diversity and had to be protected. The Campaign has been successful in that NPower have changed their plans and Instead of 500,000 tonnes of waste fuel ash (PFA) being dumped here to the detriment of the wildlife and the environment, it will go to the Waste Recycling Group Site in Sutton Courtenay for beneficial use. 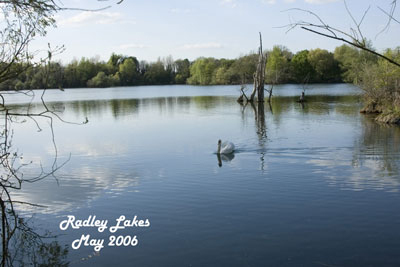 The lakes at Radley are considered to be one of the beauty spots of Oxfordshire; the jewel in the crown of the local area. Situated at the bottom of Thrupp Lane, between Radley and Abingdon, they are a haven of peace and tranquility for both people and wildlife. The Campaign never ceased for three and a half years. The website contains the reports created which proved the existence of a myriad of wildlife species. The effect of PFA in the environment and flooding. The beneficial uses of treated PFA in the construction industry. In the end it was a commercial arrangement which saved the Lakes from destruction. Waste Recycling Group have agreed to take all of NPower's surplus ash from now on until the power station closes in 2015. 1. to prevent the area being used as an ash disposal facility. 2. to protect the wildlife therein and the surrounding area. 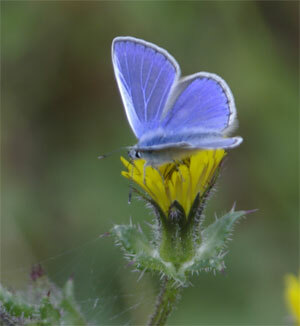 The legal action to pursue a Judicial Review was withdrawn following NPower's announcement that they are working with Northmoor Trust (now known as Earth Trust) to create a Wildlife Conservation Area. Northmoor Trust (now Earth Trust) have signed the contract to take over Thrupp Lake and Sandles and hope that the Community will support their efforts in making the centre a success as much as they supported Save Radley Lakes. The Earth Trust have, in May2013, finally received planning permission for a new Wetland Centre at Thrupp Lake. This means that in future visitors to this beautiful nature reserve at Radley near Abingdon could benefit from improved facilities and car parking. All images on this website remain the property of SRL or the people who have provided them and who have allowed us to use their work to illustrate this campaign. Reproduction without fee to the Campaign Fund is only permissible by express permission of the Treasurer. Join the Friends of Radley Lakes. Currently no annual membership, just a donation. "The effect of making positive use of a by-product is to turn it from an otherwise potential waste into a valuable resource. This allows the need for disposal to be reduced to a minimum and offsets the continual reduction of land available for tipping. the Power Station is also able to reduce its operational costs; these would otherwise increase in terms of physical movement of material, cost of land for disposal and taxation. Disposing of waste material to landfill is becoming less acceptable, thus requiring the minimisation of waste production. " So said Didcot Power Station in their "Best Practice Brochure". We asked "Why are they failing to implement their own published policy?" RWE npower, with headquarters in Swindon, is a leading integrated UK energy company. We operate and manage a portfolio of flexible, low cost coal, oil and gas fired power stations using our asset management skills to extract maximum value. At the other end of the supply chain we have a leading energy retail business � npower, with more than 6 million customer accounts. "PFA has many other uses. In these it is used either in the form produced at the power station or after processing to obtain suitable fractions. The different fractions have a range in density, heat-resistance, thermal insulation and composition, which is advantageous in specialised applications which include foundry work, ceramics, plastics, and as drying agents for sludge and similar materials. New uses for PFA are continually sought and, as improved industrial techniques are developed, further opportunities for PFA will be indentified"
This is what Didcot Power station said in their "Best Practice Brochure". We asked "Why are they failing to develop these applications?" We also asked why Oxfordshire County Council had not persuaded NPower to look for alternatives when we found them and suggessfully encouraged WRG to consider taking the PFA for recyling. Other individuals and organisations may be allowed to added material to the SRL web-site, at the sole discretion of the Executive Committee of Save Radley Lakes. There will normally be a charge of £500 per page (a 'page' being the equivalent of one A4 printed page). 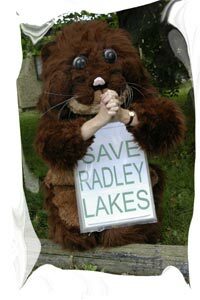 This charge may be reduced or lowered at the sole discretion of the Executive Committee of Save Radley Lakes. A higher charge may be levied in some circumstances, again at the sole discretion of the Executive Committee of Save Radley Lakes.